Art is not just for those who are super creative. It’s also a means of educating young kids and getting them to connect. 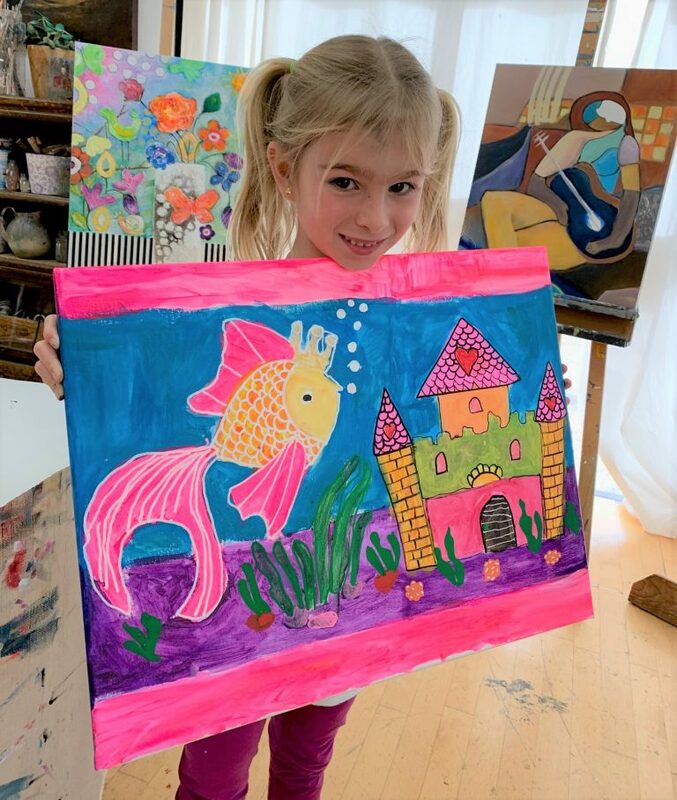 Art is known to develop fine motor skills which in turn, enhances the brain’s functionality Art does wonders for everyone, even if you aren’t the next Picasso. 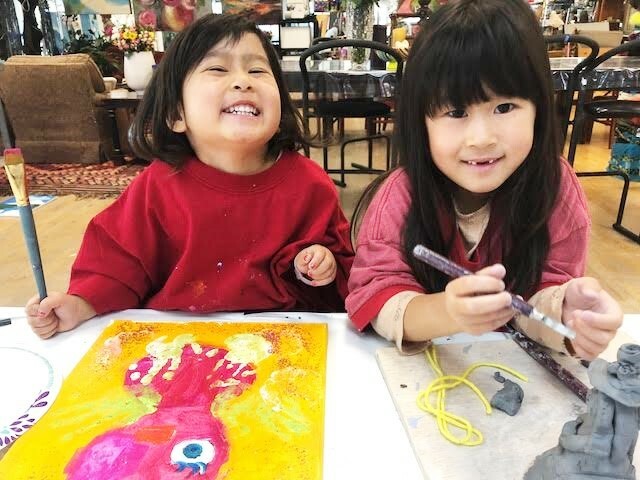 Squiggles and Giggles go hand-in-hand in this fun filled and creative class! In a Bind? Need to drop the kids off in a safe place? The baby sitter let you down? Last minute appointment? We now offer Drop-Off Drawing! We take last minute bookings and are accepting kids for this session from 3 to 5 p.m. on Mondays. Call 949-474-1552 to schedule. *Please note classes expire after 3 months from date of purchase. We offer these fabulous classes 4 times a week! 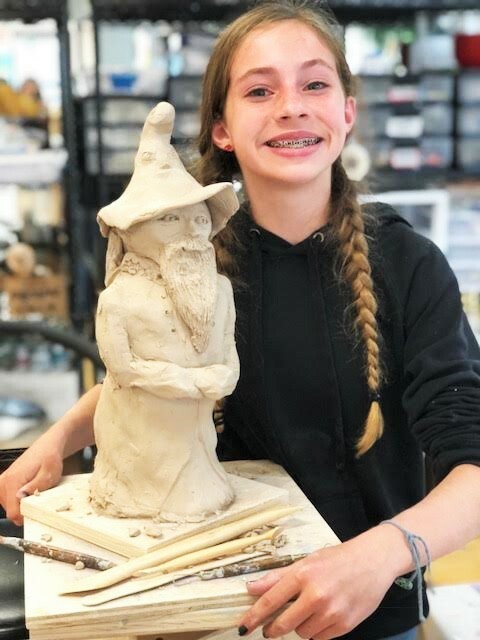 In this amazing class your tween and teen gets to meet new friends and gain a sense of belonging! Special attention is given to creative activities based upon a wide range of two- and three dimensional projects. 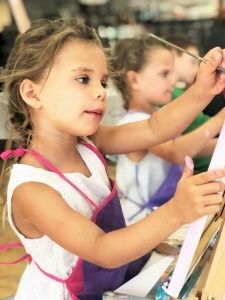 Painting, sculpture, collage and drawing techniques are taught. A variety of materials are used including colored pencils, clay, charcoal, pastel, acrylic and markers. All students will be able to exhibit their art on our gallery walls. All supplies provided. Gain a deep understanding of the foundation and fundamentals of drawing. This class is for the older or more advanced student with the desire to become a better artist (not for beginners). 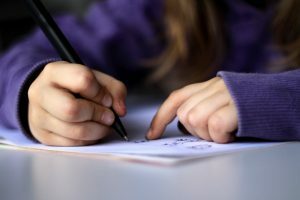 Special attention will be given to essential drawing principles and developing technique. Light sources, value, perspective ect. All materials are included. 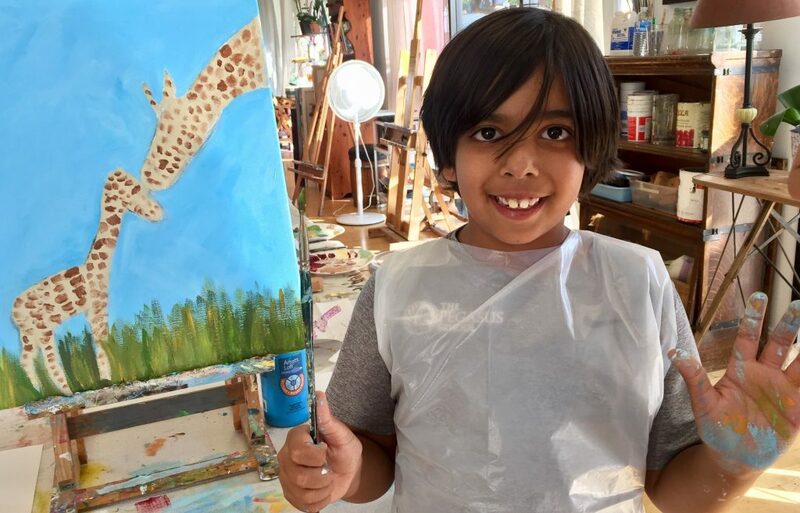 Take advantage of Spring Break with a super fun Art Camp! Fun, creative days are ahead! 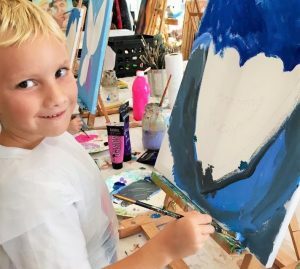 Paint, ceramics, drawing, crafts, baking and more! Each day we will create a new craft or project so that kids can come to as many camp days as they want. You can join in camp for the day or the week. Pack a lunch and the rest will be provided. Payment is required prior to camp attendance in order to reserve your child’s space. Drop-in’s will not be accepted so as to ensure proper teacher to student ratios. Call 949-474-1552 with questions or reserve your space today! 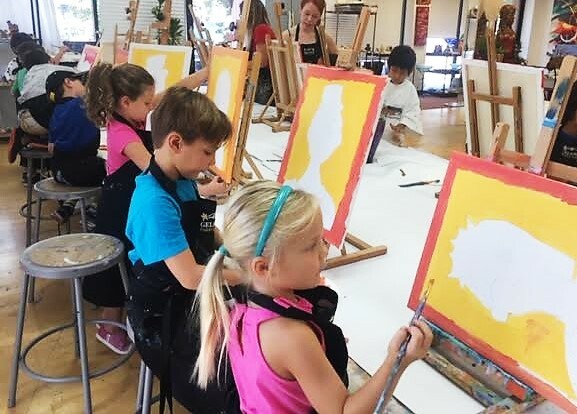 Take advantage of Summer Break with a super fun Art Camp! Fun, creative days are ahead! 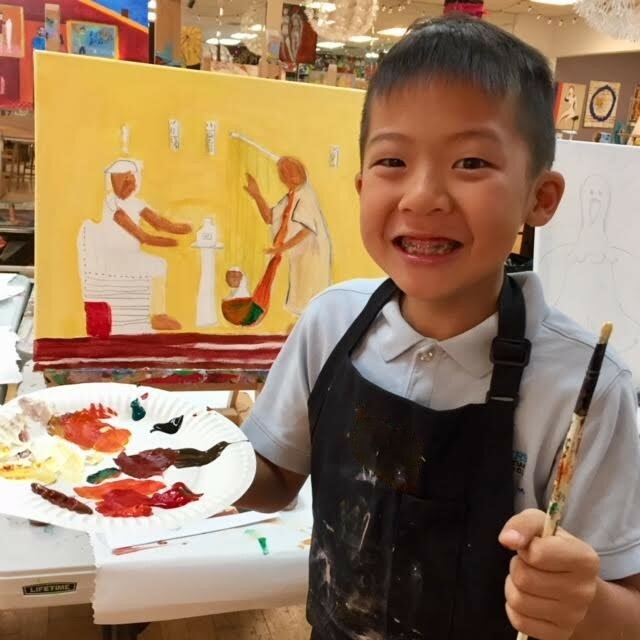 Paint, ceramics, drawing, crafts, baking and more! Each day we will create a new craft or project so that kids can come to as many camp days as they want. You can join in camp for the day or the week. If you need additional child care after camp, hourly craft time is available. Payment is required prior to camp attendance in order reserve your child’s space. Drop-in’s will not be accepted so as to ensure proper teacher to student ratios.